The 2018 NBA season begins this week with an impressive crop of rookies ready to make their mark on the biggest stage. While the main story this season could be the Golden State Warriors’ run at another title after signing DeMarcus Cousins to their already loaded roster, the strong rookie class should serve as a perfect complementary story. 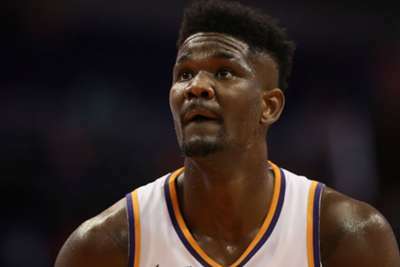 Deandre Ayton, Suns - The big center has a prototypical NBA body. Ayton, a pure 7-footer, has the skill to turn the Suns’ fortunes. Dangerous around the rim with a solid jump shot, Ayton has the strength and talent to be a potent two-way player at this level. His ability to create space for Devin Booker will be important to Phoenix’s hopes of returning to the playoffs. Jaren Jackson Jr., Grizzlies - Memphis has taken a chance on a couple of former Spartans recently. Deyonta Davis didn’t work out, but Jackson might be the Grizzlies' best player from day one. Lanky, with a high basketball IQ, Jackson uses his athleticism to create mismatches offensively. Though his shot doesn’t look pretty, he’s proved he can hit the outside shot. If he gets stronger and improves defensively, he could be a 20-point,10-rebound guy this season. Collin Sexton, Cavaliers - Life after LeBron James, version 2.0. This time Cleveland was a little more prepared for James’ departure, and selecting Sexton should help ease the transition. He is an athletic point guard known for his tight ball-handling and finishing skills. He might remind some of Kyrie Irving. Sexton’s ability to get the most out of Kevin Love will dictate this team’s chances to succeed. Lonnie Walker IV, Spurs - Kawhi Leonard, Manu Ginobili and Tony Parker are gone, but Gregg Popovich remains in San Antonio, meaning the playoffs are the Spurs' goal. Walker is a smart, athletic wing who can shoot and create. He did not have a great freshman season at Miami, but expect Popovich to get the most out of this former five-star recruit once he returns from a torn meniscus. He's expected to miss the first 6-8 weeks of the season. Chandler Hutchison, Bulls - Chicago has a lot of spots open in their rotation, and Hutchison was one of the most underrated players in the draft. Strong and skilled, he can be an elite defender with some offensive pop.